Chartering this Lagoon 450 combined with the beauty of the landscapes of the coast of Brazil is the guarantee to live exceptional moments to the discovery of Ilha Grande, Ilha de Gipoia or the bay of Paraty. 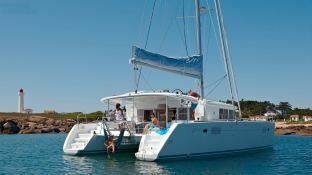 This Lagoon 450 and skipper can accommodate up to 6 passengers on board to explore Ilha Grande and Angra Dos Reis safely. This Catamaran available from Angra Dos Reis, is offered with air conditioning, barbecue, kitchen, watermaker, generator, CD, DVD and Sat TV. 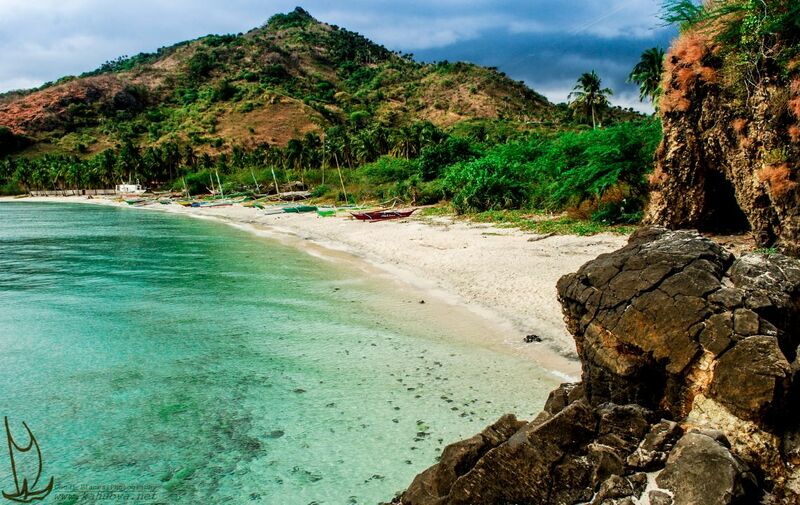 A cruise to Brazil whether on a monohull sailboat or catamaran is the certainty of experiencing exceptional moments in the discovery of this dream destination in South America. 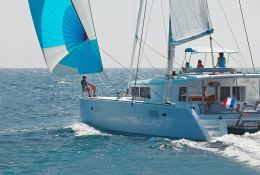 The sailing conditions are pleasant almost all year long for a boat charter. You will be able to discover the fauna and flora, swim in giant aquariums and also enjoy the incomparable welcome of Brazilians in this region. You will not be able to sail in this region without making a stop in Paraty. Indeed this city was built in the XVII century in a colonial style. It has a wonderful Baroque style church and small streets with colorful houses. 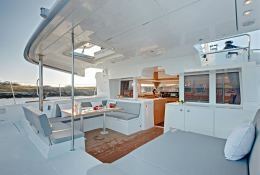 This skippered catamaran is available for yacht charter with a base price of 7 800 $ (approximatly 6 916 €).